Sloan Kettering. “About Herbs, Botanicals & Other Products.” Memorial Sloan-Kettering Cancer Center. N.p., 2011. Web. 05 July 2012. University of Maryland Medical Center (UMMC). “Cranberry.” University of Maryland Medical Center. N.p., 2011. Web. 05 July 2012. Woznicki, Katrina. 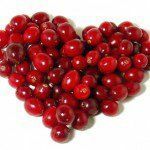 “Women’s Health.” Cranberry Juice Fights Urinary Tract Infections Quickly. N.p., 23 Aug. 2010. Web. 05 July 2012.